Villa Sao Paulo - Beach Front Wedding Villa in Portugal was built in 1911 by Mrs Benedita Alves de Mello - a Portuguese lady who made her fortune in Brazil, with coffee. The Villa has several antique tile pannels about the portuguese discovery of Brazil, including the first catolic service in Brazil, in the year 1500. The name of the Villa was inspired by both the city of Sao Paulo (biggest metropolis of Brazil) and St. Paul, to whom the Lady was very devoted. 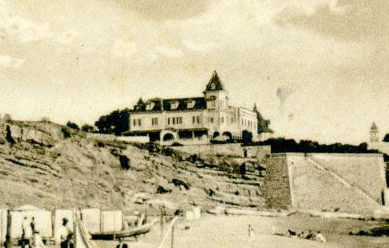 At the end of the 19th century King D.Luis made the town of Cascais his summer home. This completely changed the infrastructure of the area, as well as many more palaces and chalets being built along the coastline. 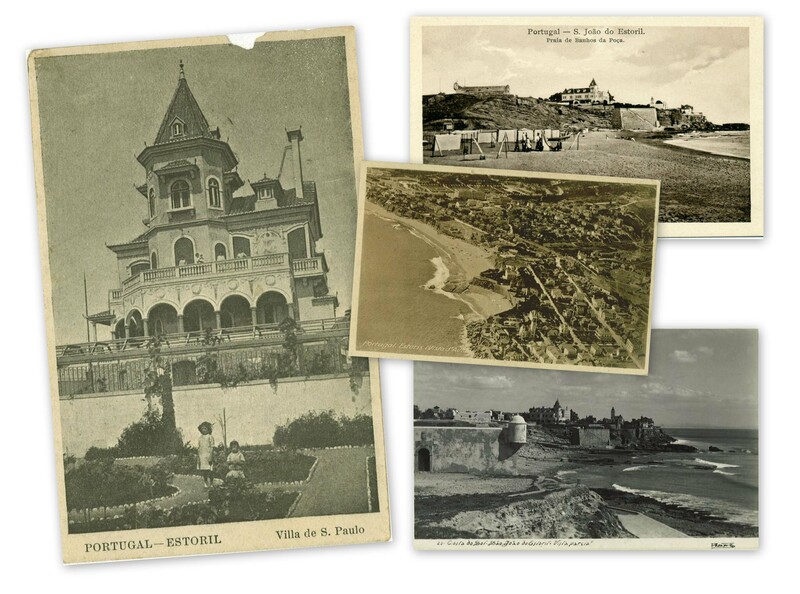 In 1870 Estoril became the place to be for the royal family, aristocrats and high society and the coastline was soon referred to as the Portuguese Riviera. In 1905 laws changed so more grand hotels , casinos , spa resorts , parks and gardens could be built to further increase the coastlines already impressive status. In 1910, when Villa de Sao Paulo started to be built, there was a revolution which signalled the end of the Portuguese monarchy. The perfect location for your holidays and celebration in Lisbon by the sea. Villa Sao Paulo is a Wedding Villa and Holiday Villa located in Estoril - Lisbon coast, Portugal positioned on a cliff directly facing the Atlantic Ocean, and has fifty private steps down to the world famous Azarujinha and Tamariz﻿ Estoril beaches. The property has 2 buildings: the Palace and the Garden Building. ﻿The Palace has four floors, each one with approximately four hundred square meters of floor space. The Terrace floor is the social area, built around a spacious living room, which includes comfortable seating and a piano. It has a beautifully interior designed kitchen and dinning room with a gourmet standard kitchen area. All rooms have direct access to a large open Terrace which is approximately one hundred square meters, with a classical colonnade facing the Cascais bay, perfect to relax and enjoy the view. In the top floor of the main building, with an overwhelming 360º view has four bedrooms, three full bathrooms and one large living room with a kitchenette. Why you should choose Lisbon? characteristic and surprising sights, cultural treasures, and a beautiful setting that make it a paradise for walkers and photographers. VALUE: It's one of Europe's best values-- officially Western Europe's least expensive capital. LOCATION: It's the closest European capital to the United States and Brasil and just around a 2-hour flight from all the other major European cities. SIZE: It's a compact and intimate city, ideal for a short city break or a longer romantic stay, with a lively café culture and a nightlifethat is one of the most vibrant in Europe. VARIETY: Its surroundings offer an incredible variety of tourist attractions, from fairytale palaces in one of Europe's most romantic towns (Sintra), to world-class golf and fun in Europe's largest casino in Estoril, to surfing and golfing in Cascais or escaping to a natural park in Arrábida, to dolphin-watching in Setúbal. GATEWAY: It makes a perfect baseto explore many of Portugal's most outstanding towns and villages, from Evora to Obidos. The Lisbon coastline is interesting and diverse. Lisbon itself is set within many hills, looking over the mouth of the river Tagus and out towards the Atlantic Ocean. Moving further around the coast, the land towards the ocean flattens out but maintains the stunning views of the sea and coastline. The coastline's beautiful white sandy beaches ensure the buzz of the working city is balanced by people relaxing on the beach at any opportunity, surfers and sun-worshippers alike. Portugal is located at the most western point of Europe, which has defined the Portuguese peoples love of the ocean. Portugal's history is rich and diverse as it was one of the Europe's oldest colonial empires. The Portuguese were the first to discover routes to India, Brazil, China and Japan and formed settlements on the East and West coasts of Africa. The wealth brought back from their missions made them a wealthy nation and the palaces, castles and forts stand testament to this. The gastronomy of Portugal is as rich and varied as its landscapes and heritage. The sea has proved to be the most defining characteristic of Portuguese cooking. Savour the simplicity of a just-caught grilled fish. How about the shellfish plucked from the waters anywhere along this coastline? From grilled sardines to the ‘pastéis de Belém’ pastries, Lisbon’s food is as welcoming as its people.